The Lillian Marrero Branch of the Free Library of Philadelphia is located in North Central Philadelphia. North Central is an area in the North Philadelphia section of Philadelphia, Pennsylvania, United States. The name of the area is derived from its location, near the center of North Philadelphia. According to Census 2010, North Central is primarily a low-income neighborhood where 60% of its residents are African American and 40% are Puerto Rican. Hartranft and Stanton are neighborhoods locally known as "North Central". 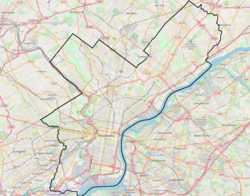 North Central borders both North Philadelphia East and North Philadelphia West. This page was last edited on 13 March 2018, at 03:57 (UTC).